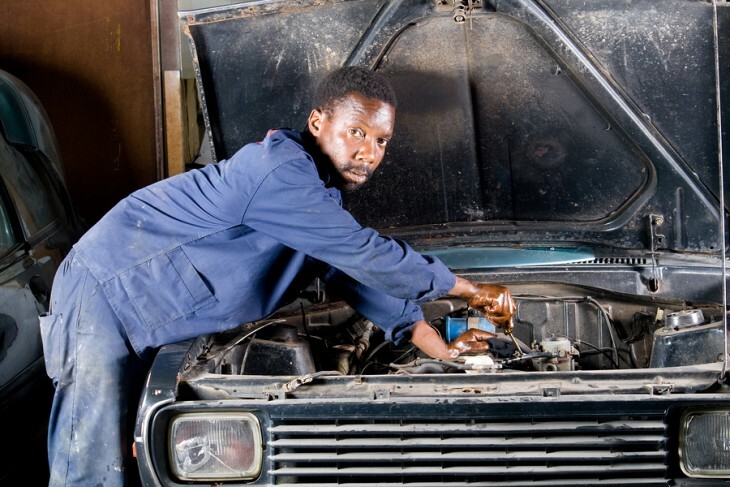 Home » Linen, Facilities, and Uniform Services Blog » Uniform Services » Does Your Company Have Mechanic Uniforms? Does Your Company Have Mechanic Uniforms? If you work in any kind of auto shop, you want to make sure that all of your staff have proper mechanic uniforms. When it comes to the safety of your employees, it should always be top priority. Instead of having your mechanics wear clothing that doesn’t actually protect them, you want to look into getting uniforms that will service a purpose. You want to make sure that the mechanic uniforms that you use not only make your company stand out and look professional, but also protect your staff from the everyday risks that come along with working in your field. It is very important to make sure that you look out for your businesses image, but you also never want to put yourself in a position where your business isn’t a safe environment. There are quite a few different ways to make sure that your mechanic uniforms serve to protect as well as make your business stand out. There are also plenty of services that can help make sure your uniforms are always top quality. If you have a larger staff, or you don’t offer laundry services at your location you are actually able to get a laundry service. This is actually a very good option for your particular services in the automotive industry. Not only do you get your uniforms cleaned and brought back to your location on your own schedule, but if any of your mechanic uniforms have any holes or any damage, they are replaced. If you purchase your uniforms, you will have to replace them on your own whenever an issue arises. GET FREE QUOTES ON MECHANIC UNIFORMS TODAY! Buy uniforms for your employees to keep them looking their best every day. Find out if purchasing your Automotive Industry Uniforms is the right solution for you.